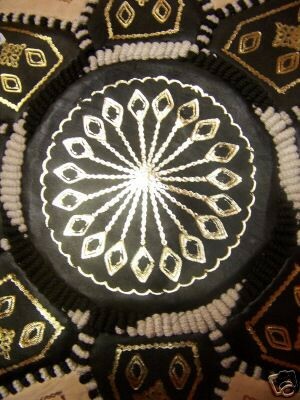 Oriental seat cushion, made of leather, incl. filling. It's easy to see why Oriental design-lovers have embraced the versatile leather pouf, using it as a seat for an unexpected guest or even as a tea-time table when topped with a tray. It's a great way to bring color and a little exotic flair into your existing decor. Hand-stitched construction ensures this piece will last well into the years to come. 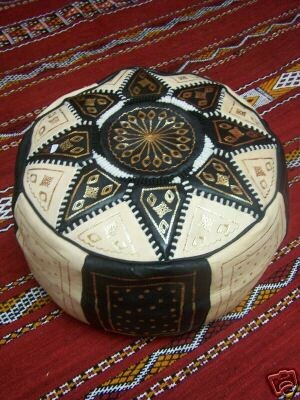 Cushions are a necessity in the Oriental world, but also in these parts they are enjoying an ever-increasing popularity. Of course the production is pure handwork. 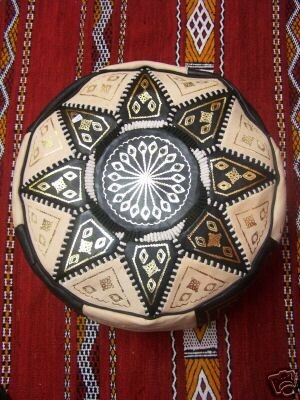 This carefully hand-worked cushion of genuine leather is manufactured in Marrakesh. With zip-fastener on the underside. Includes filling with wood fiber.